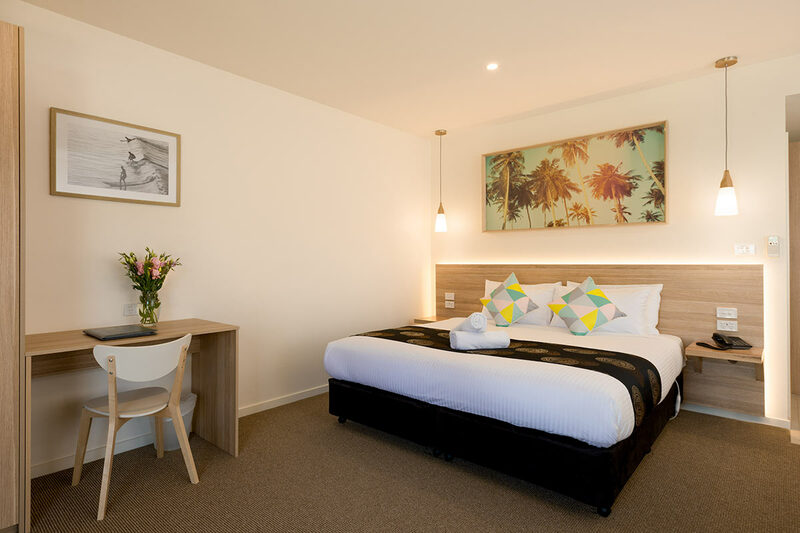 Our DELUXE SUITES are very spacious ground floor rooms featuring a King bed with electric blanket and the option of a double fold-out Sofa bed. 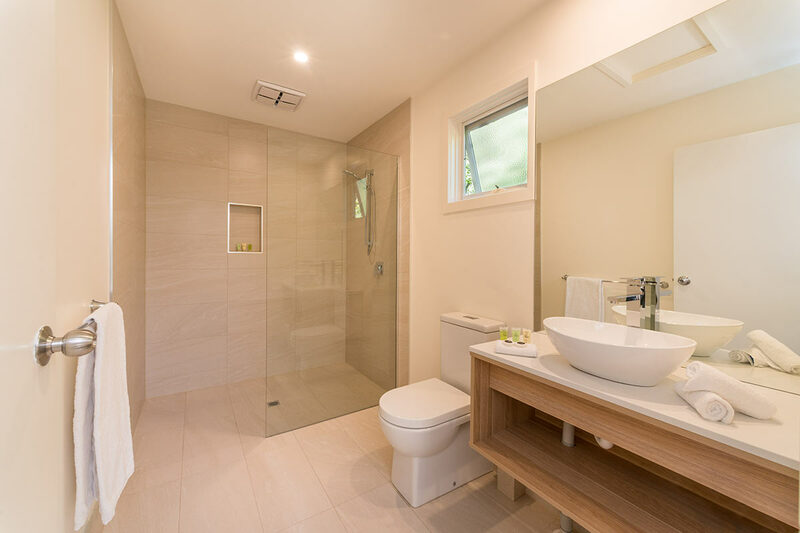 The ensuite offers a large walk-in shower, vanity and all bathroom amenities including a hair dryer. 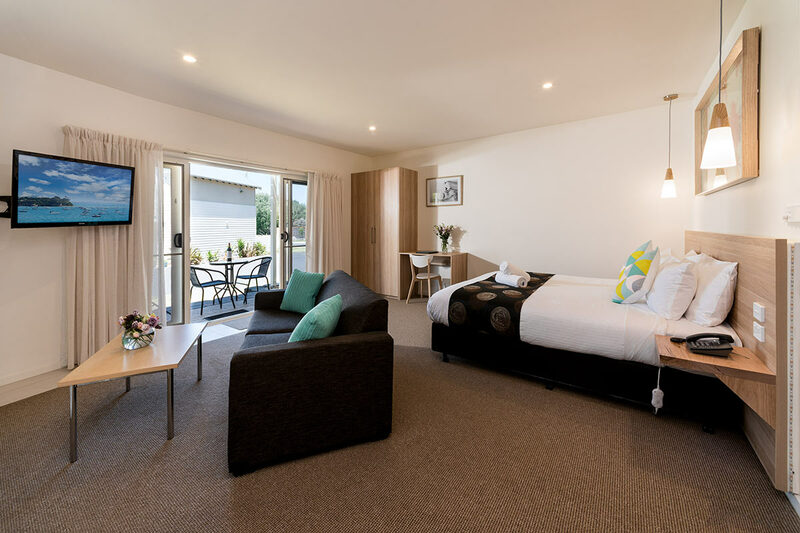 All rooms have split system heating and cooling and a 40” LCD Smart TV and Blu-Ray DVD player. 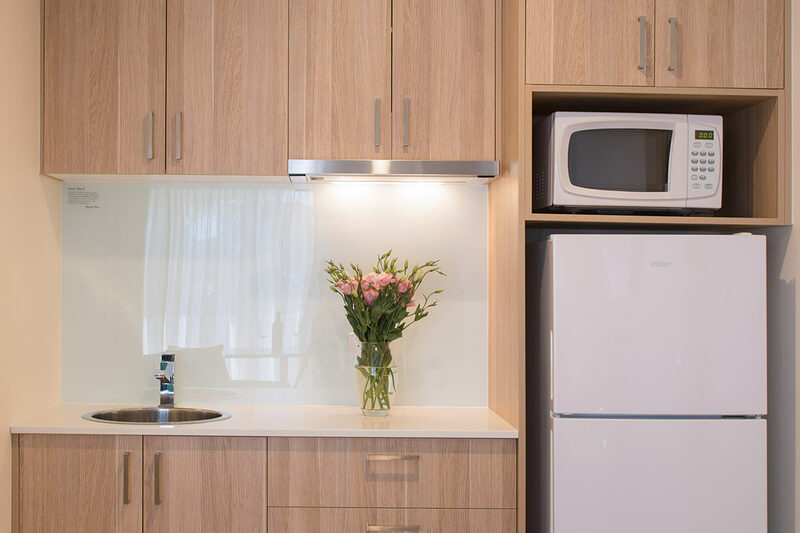 Appliances supplied include a toaster, kettle, microwave oven, fridge, iron and ironing board. All your tea and coffee is supplied and there is free Wi-Fi throughout the complex.